On a earlier post I was talking about the Micro cases to hold my H4N, well now I have turned one into a basic cleaning kit and battery holder. Let your imagination run wild. While working in LA, I found “Panchro” to be the lens fluid cleaner of choice in the “film” world. This came as a tip from a lens technician in LosAngeles while I was waiting on some rental equipment. 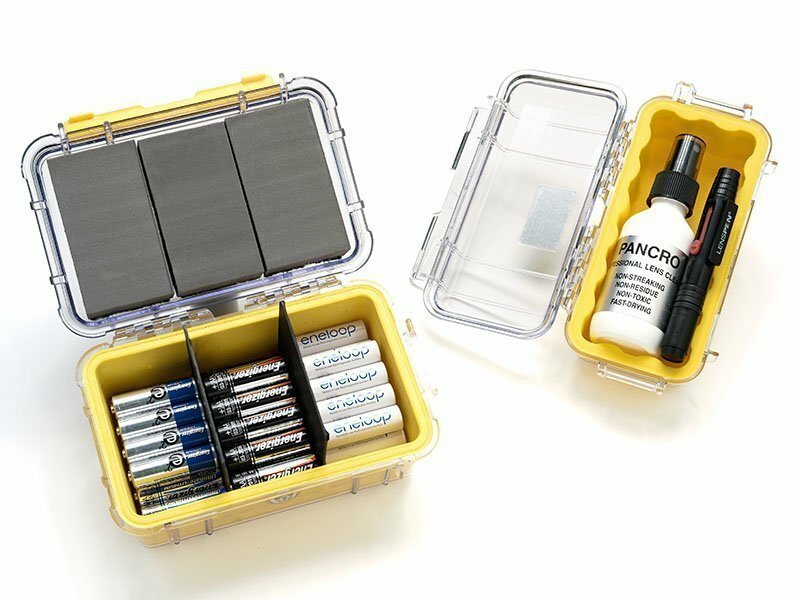 Plus, the micro case keeps things “dry” when you pack them with other things. What is not shown, are a few sheets of KimWipes that I keep beneath the lens brush and Pancro. See another post for my “Bad Day on Location” kit.